This tabletop would have been the perfect setting for an evening dinner on my recent sunshine break to Menorca; the Mediterranean blue hues and saturated yellow shades took me right back to the colours that inspired me on the trip. 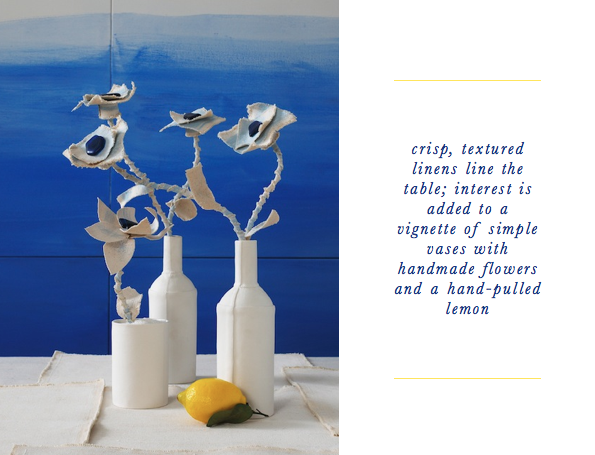 My favourite elements of the table are the handmade flowers (David Stark is a genius, right?!) 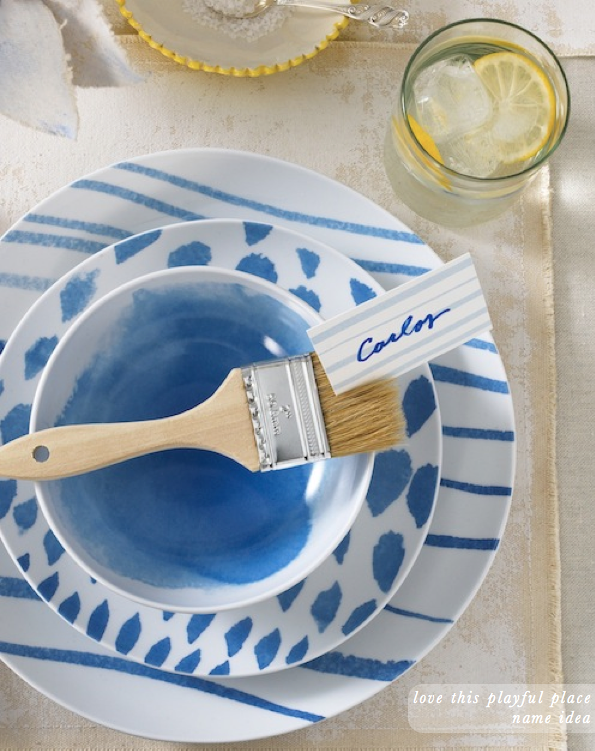 and the paintbrush place cards are an unexpected, playful touch. 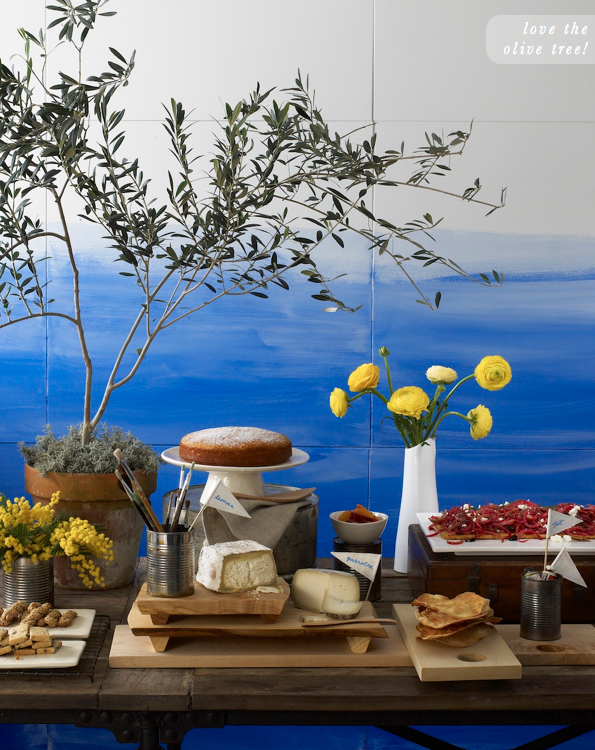 I also love how the olive tree adds height and drama to the table. Anyone else in the mood for an aperitif and a little party time? These look fabulous! Love the fresh color combo! This is so fun and pretty looking! Those plates are really neat and I love the mixture of patterns. Wow! That potted olive tree look amazing! What a spread! blue and yellow together is simply divine! 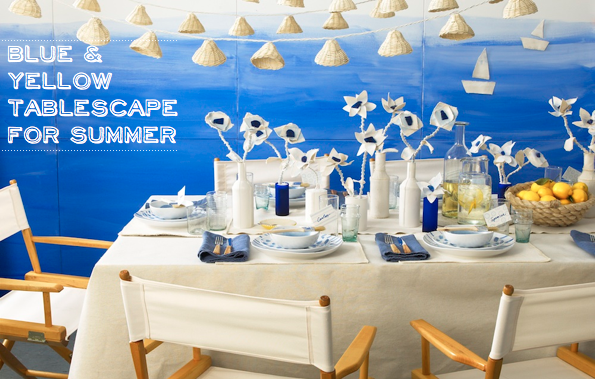 What a bright & light table setting - I love the tin cans used to hold cutlery and flowers.